The nearest National Rail station is Harpenden. 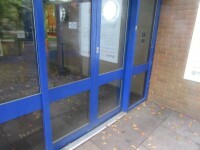 The dimensions of the Blue Badge parking bay(s) are 350cm x 400cm (11ft 6in x 13ft 1in). The nearest Blue Badge bay is 210m (229yd 1ft) from the main entrance. The furthest Blue Badge bay is 230m (251yd 1ft) from the main entrance. Assistance may be required because there is / are level changes with no dropped kerbs. The maximum height is 244cm (8ft). 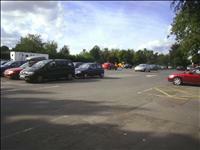 Parking is only free for users of the centre, when a ticket is issued at reception. This information is for the entrance located in Rothamsted Park. The desk/counter is 3m (3yd 10in) from the front entrance. 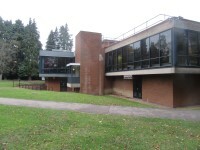 The first photograph shows the reception area, with barrier entry to the rest of the centre. The lift is located at reception. The dimensions of the lift are 73cm x 70cm (2ft 5in x 2ft 4in). 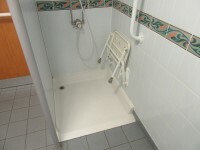 The accessible shower(s) surveyed is/are located within the ground floor accessible toilet. The height of the seat is 34cm (1ft 1in). You are on Accessible Toilet (1st Floor Changing Room). Skip to the next section. 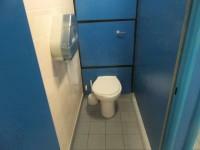 This accessible toilet is located next to the Fitness Suite. 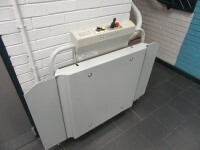 The dimensions of the accessible toilet are 230cm x 240cm (7ft 7in x 7ft 10in). The lateral transfer space is 150cm (4ft 11in). You are on Accessible Toilet (Ground Floor Changing Rooms). Skip to the next section. This accessible toilet is approximately 6m (6yd 1ft) from the main entrance. This accessible toilet is located in the reception area. 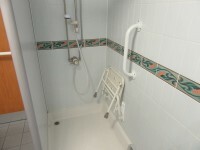 The dimensions of the accessible toilet are 220cm x 320cm (7ft 3in x 10ft 6in). 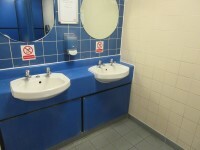 There is another accessible toilet and changing area in the reception area. The fixtures and fittings are the same except lateral tranfer is to the right and there is a baby change facility available. 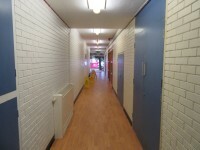 The standard changing room(s) is/are approximately 15m (16yd 1ft) from the main entrance. 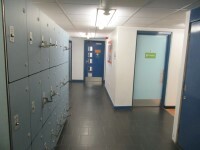 The standard changing room(s) is/are approximately 10m (10yd 2ft) from the reception desk. The standard changing room(s) surveyed is/are located to the left as you pass reception. You are on Standard Changing Room (Ambulant Changing Area). Skip to the next section. 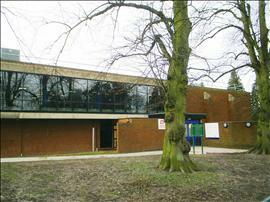 The standard changing room(s) is/are approximately 18m (19yd 2ft) from the main entrance. 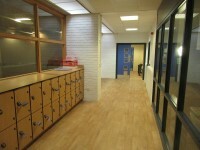 The standard changing room(s) is/are approximately 18m (19yd 2ft) from the reception desk. 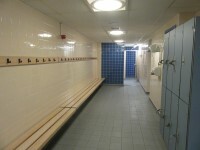 The standard changing room(s) surveyed is/are located within the main changing area. 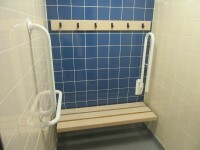 There is an ambulant cubicle within the male standard changing rooms. 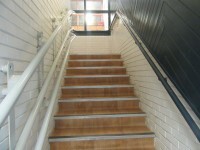 This has a drop down rail on the right hand side, and grab rails on the left. You are on Standard Toilet(s) (Ground Floor Changing Rooms). Skip to the next section. The female toilet facilities that were surveyed are located in the changing area. The female toilet(s) is/are approximately 15m (16yd 1ft) from the main entrance. The male toilet facilities that were surveyed are located in the changing area. The male toilet(s) is/are approximately 15m (16yd 1ft) from the main entrance. 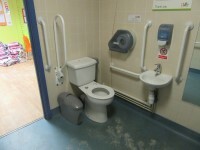 There is another adapted toilet and changing area in the reception area. The fixtures and fittings are the same except lateral tranfer is to the right and there is a baby change facility available. A bowl of water cannot be provided for an assistance dog. The photograph shows the main hall. Staff are trained to take TypeTalk calls.